There appears to be an interesting relationship between the risk of developing a gambling addiction and parental supervision. Research conducted by the Columbia University’s Mailman School of Public Health shows that a lack of parental supervision of children until the age of 14 increases the chances of becoming a pathological gambler. Children with high levels of parental supervision. Children with slightly lower levels of parental supervision. 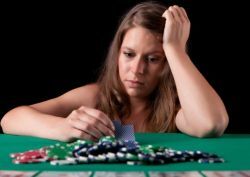 The risk of developing a gambling problem in the age of 16 – 22 was considerably higher among participants in the second group. Nevertheless, the differences in levels of monitoring were small, but statistically noteworthy. Participants in both groups were supervised well during the age of 11 – 14. However, the youngsters in the first group were supervised about 24/7, while their peers in the second group were supervised the majority of the time. But how can a modest difference in supervision by parents result in a considerably bigger chance of developing a gambling addiction? Researchers believe that there’s a link with the social economic status of the parents. People from lower social economic classes tend to be more conscious of the possible negative effects that environments have on infants. That explains why they intend to supervise their children almost all the time.